As most of the smartphones’ camera modules have been designed to capture 5MP or even 8MP high quality pictures, a 3.2MP camera module that being integrated in Apple’s famous third generation 3G S is no longer something really impressive. Good news now, a reliable source has indicated that an upcoming forth generation iPhone may get a similar upgrade to support 5MP picture capturing quality by next year. 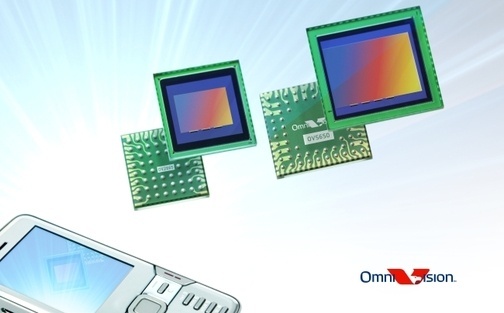 The new camera module is believed to continue getting supply from OmniVision Technologies, which is famous for its tiny camera module targeted for high end smartphones. If you recall, the company has been supplying Apple Inc with its 3.2MP camera module that being used in current 3G S iPhone series. And most probably the QV5650 module will be the right candidate to provide sufficient video recording capability with full HD 1080p at 30fps or 720p at 60fps on top of 5MP picture capturing quality. It is expected that Apple could be forecasting and ordering around 40 million to 45 million units of QV5650 camera modules just for its next generation iPhone (excluding iPods). No pricing availability yet, the new 5MP camera module will start shipping by early next year with the actual next generation iPhone product availability by second half of 2010.